Remember when you were a kid? You were always living forward. You were always waiting on the next holiday, the next birthday, the next big party! There was something inside of you, some juvenile discontent that bubbled up that always made you think, “I’ll be happy when…” “I’ll be happy when I get a new bike;” or “I’ll be happy when I get my driver’s license.” But, every time you achieved a new milestone, before the birthday candles had finished smoking or the new had worn off of the latest toy, the whisper of discontentment started again. Every time you reached a milestone, from the top of that hill you’d begin seeing the next one you wanted to accomplish. Then, the “I’ll be happy when…” would set in again. Some of us never grow up. Don’t postpone joy. (I know it's a bit cliché, but when you are facing your own mortality you can be cliché if you want to.) You can spend your life chasing “happy when” and never catch it because it keeps moving. The other option is to make where you are better. To bloom where you are planted (another cliché for you), and to make right here, right now, enough. The gift of contentment is the best gift you can give yourself. The gift of finding joy in the simplest of things makes you a better person, your world a better place, and life worth living. I have a friend, Sue, who claims she has a very “low threshold of joy.” She constantly looks for things to celebrate, however minor. She looks for the dandelion growing out of the crack and remarks about how tough life can be but how if you push through you can bloom. She looks for any excuse to bring light into the lives of those around her. No, her life isn’t perfect, but she has chosen to make her little corner of the world better. She choses to sow seeds of joy wherever she goes. She realizes it’s her time, her time to have joy, and to share it. Isn’t it time you did the same? I love Ecclesiastes because this text captures the struggle of humanity to understand the world and to fathom who God is, and also shows us how much we come up short. The third chapter (above) contains some of the most quoted words in scripture. What doesn’t get quoted is the later part of the chapter where the writer reminds us that God has “set eternity in the human heart.” You are designed for eternity. That whisper of discontentment is the realization that the world we live in is not yet the world we were designed for. That when we utter the prayer Jesus taught us to pray, and say, “Thy kingdom come on earth as it is in heaven,” we are asking for our time. Jesus made it clear, however that our time is now. It is up to us to bring in as much of the kingdom as possible. When we serve others sacrificially. When we worship, pray, and love God with our whole heart, mind and soul. When we are the people God has designed us to be, we bring in a little bit of the kingdom, and then something amazing happens. We get a glimpse of the joy that God has for us. Suddenly the “I’ll be happy when…” times become, I am joyous now. It is up to you. It is your choice. It is what you make it. You can be miserable (and make everybody else around you miserable) wherever you are, or you can work to bring God’s kingdom present. It is not what is going on around you that determines whether you are content. It is not your circumstance or situation. It is not whether you are in the city, or the country, or have the perfect job, or drive the perfect car. It is where you are on the inside. 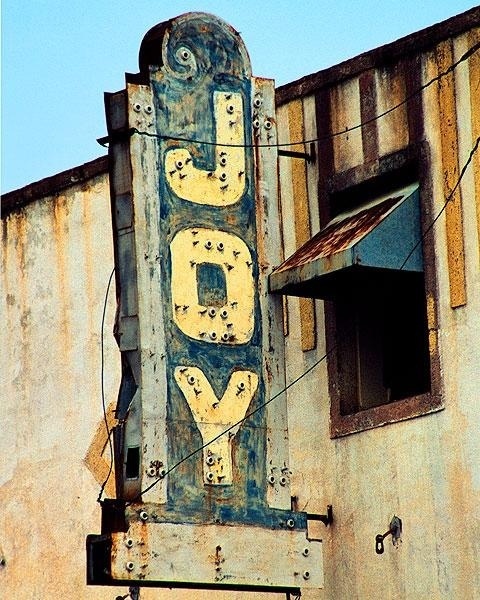 Take it from the guy who is dying; joy is an inside job. just some soreness, some weariness, and some intolerance of the little things that shouldn’t get to me. 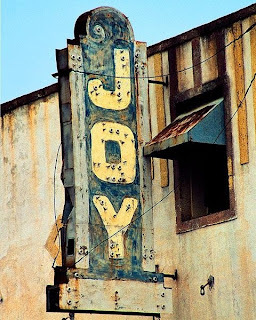 I realized that I was slipping into “I’ll be happy when…” thinking, but my joy is not based upon outside forces. My joy is not based upon how well I feel, or how much I can do. My joy is based upon who Jesus is and what Jesus has done, is doing, and will do inside of me. On his deathbed, John Wesley uttered those famous last words, “The best of all God is with us.” My prayer is that these might be my words when I struggle. When I am tempted to give into despair, I want to remember that this is my time, and I choose joy. Gracious God in the midst of despair, you are there. In the heights of celebration, you are there. I confess that I have been victim of “I’ll be happy when…” thinking, forgive me and let me let your joy come alive within me and then allow me to give it away, as You gave yourself away upon the cross. In the name of the One who brings joy in the morning, Jesus, I pray. Amen.